The trio of appetizers that came out first made nothing short of a grand entrance. A dish of scallop noodles were dressed with apple, mint, preserved lemon and garnished with jalapeno slices. 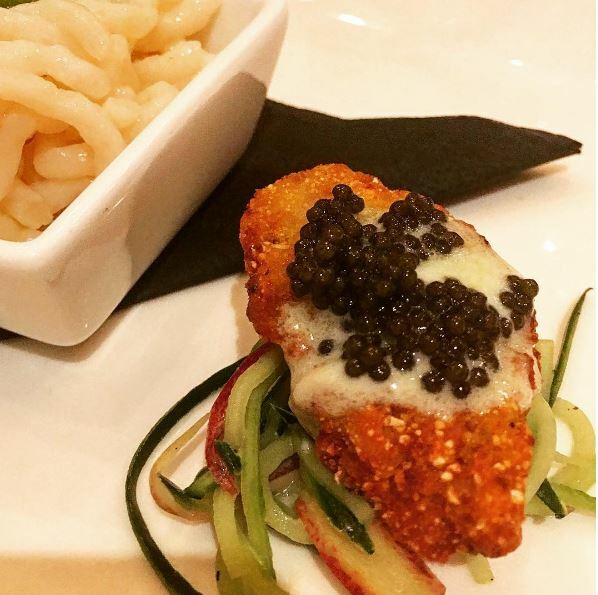 A fried oyster was served over cucumber and topped with caviar and crème fraiche, and pickled shrimp sat atop sea beans and smoked ricotta. 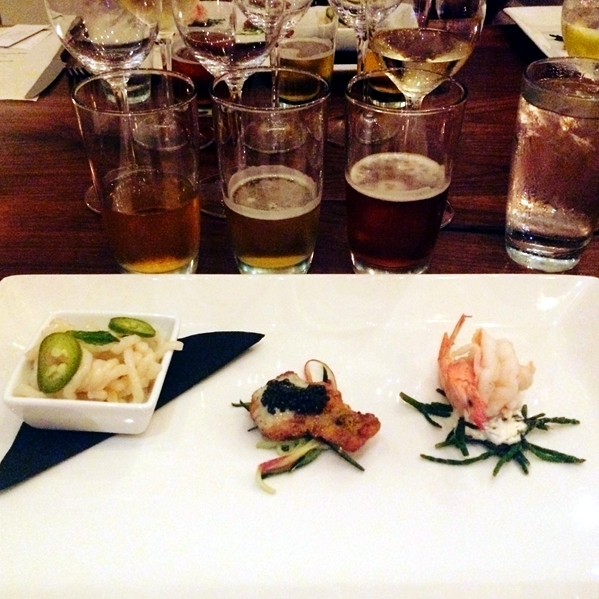 As a whole, the first course was served with a traditional Sauvignon Blanc pairing, and our discovery pairing included a trio of beer. We enjoyed the Man O’ War Sauvignon Blanc out of Waiheke Island, New Zealand. The scallop noodles were also paired with Anderson Valley’s Briney Melon gose. Local favorite Olde Mecklenburg Brewery’s Hornet’s Nest hefeweizen was paired with the fried oyster, and the pickled shrimp were paired with Benford Brewing’s World’s Problem Solver IPA. 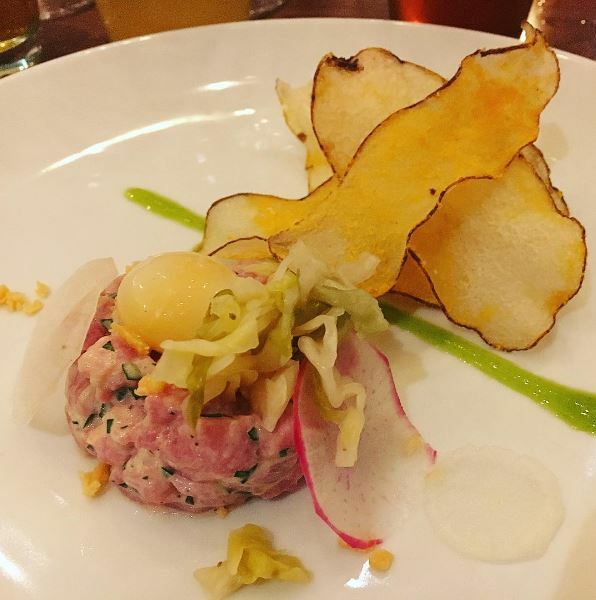 Veal tartare served with fermented cabbage, turnip, quail egg, and cheddar chips came out next. A white wine, the Grangeneuve les Dames Blances du Sud out of Grignan-les-Adhemar, France, was our traditional pairing. Our discovery pairing was a rosé, the Ameztoi Getariako Txakolina Rubentis from Getaria, Spain. 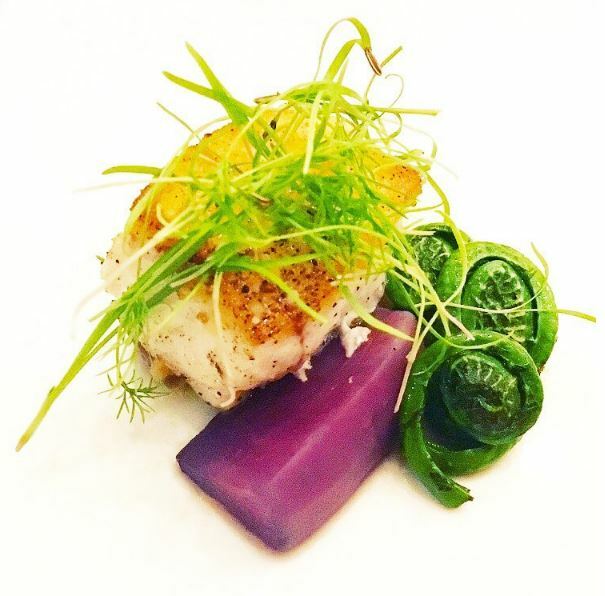 Our next course – corvina sea bass with braised radishes and fiddlehead ferns – was served with a traditional white Cordero di Montezemolo Arneis from Langhe, Italy. Our discovery pairing was the Pinot Meunier Tracken, a dry, full-bodied riesling, from Kurt Darting in Pfalz, Germany. One bit of trivia we picked up was the Pfalz region sits at 49 degrees latitude, which is roughly the same latitude as the Champagne region of France. For a reference closer to home, the 49th parallel is where Washington state meets Canada. 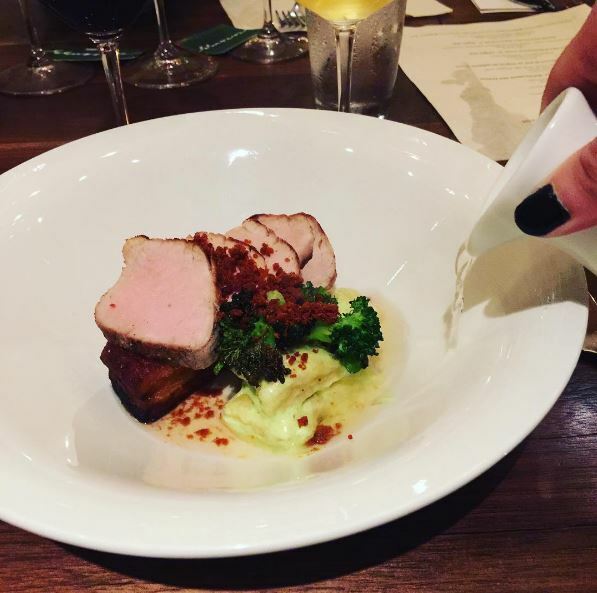 By the time the confit pork belly with pork tenderloin, nduja (a pork sausage), roasted broccoli, gnocchi, and parmesan consommé came out, we were essentially beside ourselves. 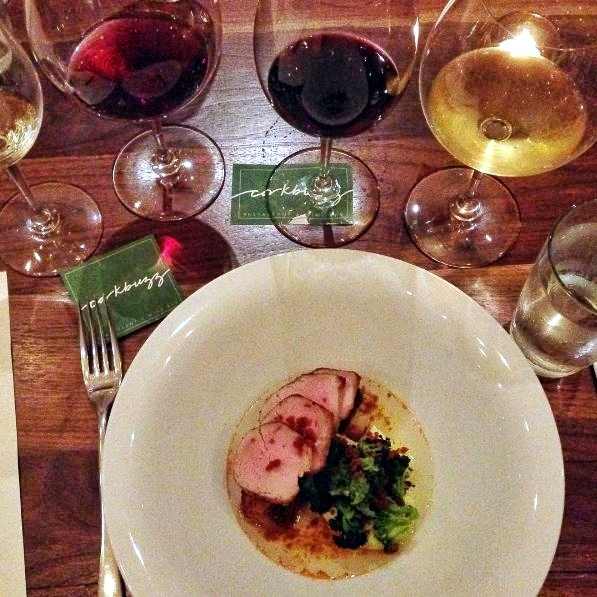 Two Italian wines were paired with this course. Our traditional red was the Vecchia Torre Primitivio Barocco Reale out of Puglia, while our discovery wine was a chardonnay from Isole e Olena in Tuscany. Last but not least, we were treated to Avonlea Clothbound Cheddar with blueberries, strawberry jam, rosemary toast and a wisp of cotton candy that was, quite frankly, amazing. The Vecchia Torre Primitivo Barocco Reale continued on as our traditional pairing. 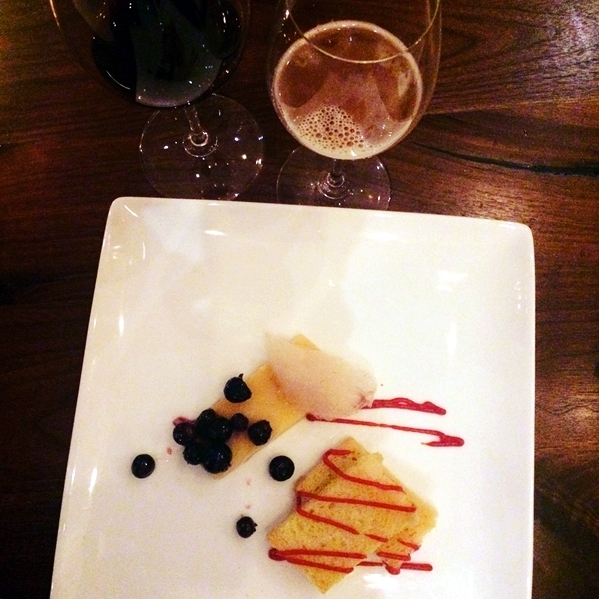 Ending the meal as it began, our discovery pairing was not wine but beer, Belgium’s La Perle Mondiale strong ale. We all had different favorites in the food and drink department, but we all agreed the food and drinks were excellent. 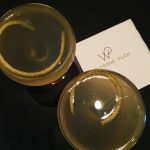 A handful of us even lingered over our wines for so long that we closed the place down, and for that, well, we apologize. We also extend our sincere thanks to Frank, general manager Shawn Paul, Chef de Cuisine Allen Evans, and everyone at Corkbuzz who treated us to such a lovely evening. We could not have asked for a nicer experience. Wine can be intimidating, but it does not need to be. 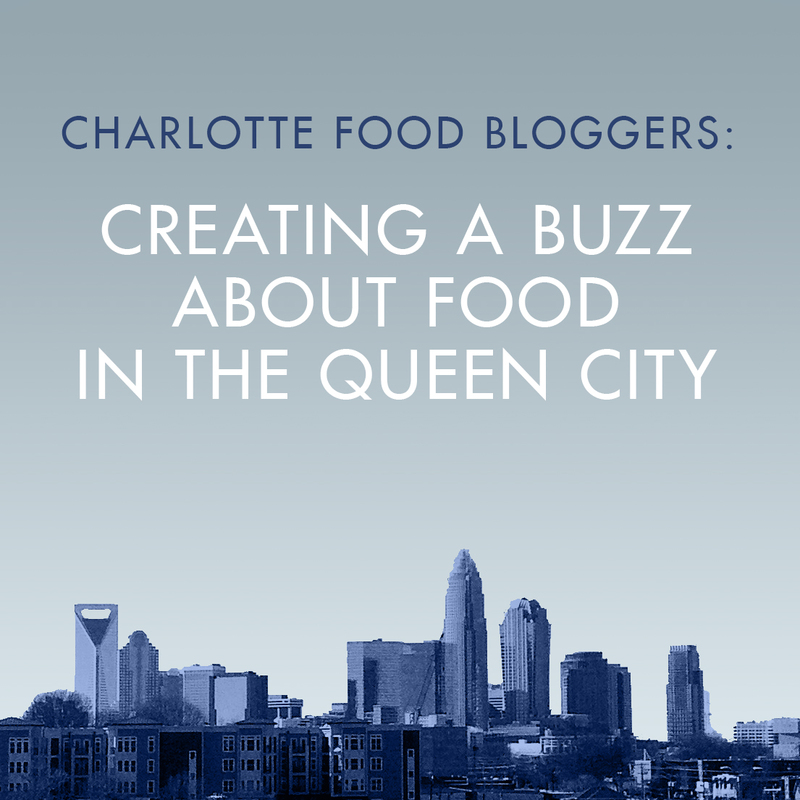 Remember how we mentioned Frank was a Corkbuzz co-founder? His partner is Master Sommelier Laura Maniec. Fewer than 250 people have earned this level of wine expertise (Laura is one of 33 females to hold the certification). Like wine, that also sounds intimidating, but having an incredible level of wine knowledge available to our community is a wonderful thing. 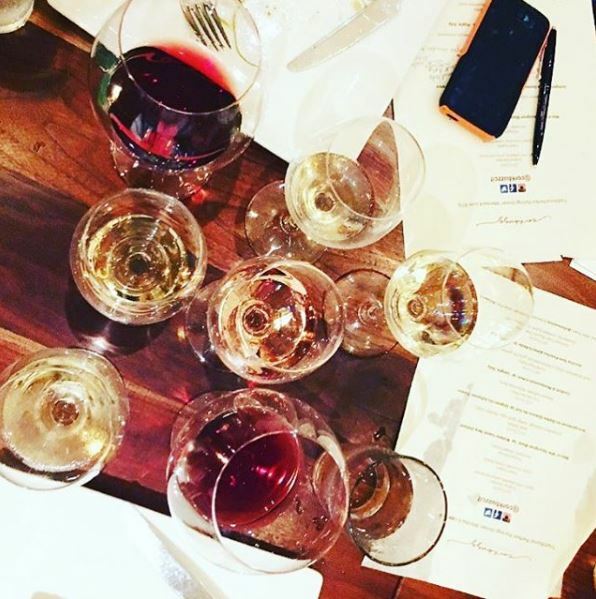 No matter your level of wine expertise, you can walk into Corkbuzz and be treated to a wonderful wine experience. 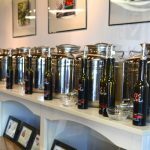 The restaurant and wine bar also offers a number of classes and events each month. Cheers! Bar open Thursday-Saturday until 12 midnight.